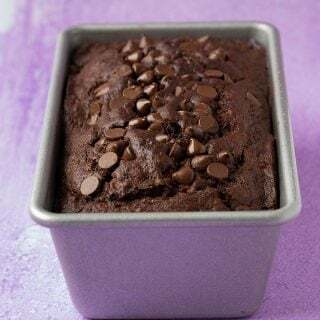 Well despite all the Easter eggs I have consumed this past week, I still have chocolate on my mind and also on the menu today with a special copycat recipe. 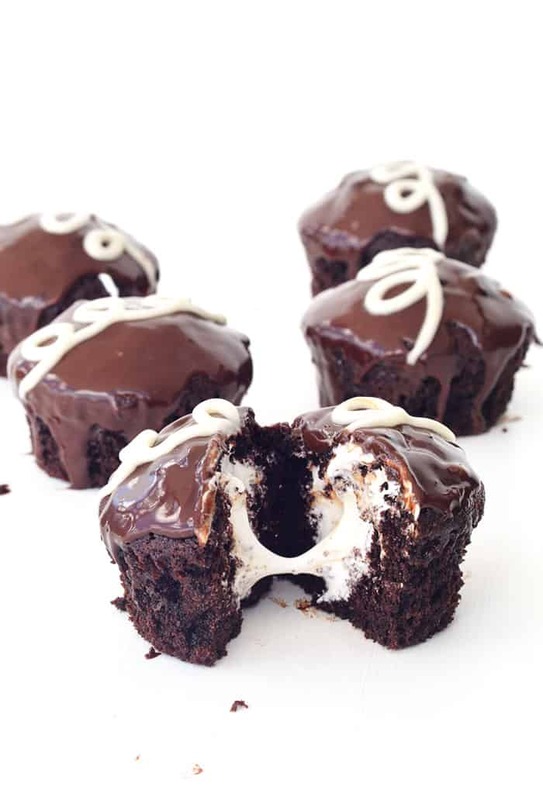 These homemade Hostess Ding Dong Cupcakes pay homage to an American classic. 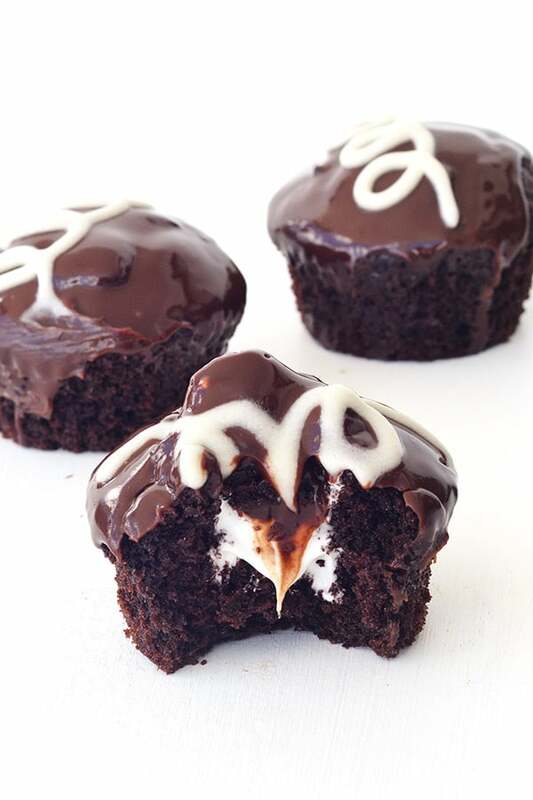 Soft and fluffy chocolate cakes, filled with a sticky marshmallow filling and topped with dripping chocolate ganache. What a treat! Of course, it can’t be a Hostess cake without that signature swirl! Ding Dong fans and any chocoholic will love this recipe. Not only are they decadent and delicious, they are really fun to make! Do you have Hostess Ding Dongs where you live? We actually don’t have them here in Australia. But we have grown up hearing about them, along with Twinkies, Yodels and Hohos, thanks to American TV. In fact, one of my favourite things to do when we visit America, is try all the different foods we have heard about for so long. From candy to cereal, I love wandering the supermarket aisles looking at the different food products and spotting familiar ones. Last time we visited, my suitcase was overflowing with graham crackers, nila wafers, fruity pebbles and butterscotch chips . I reckon these Ding Dong Cupcakes taste pretty darn good. 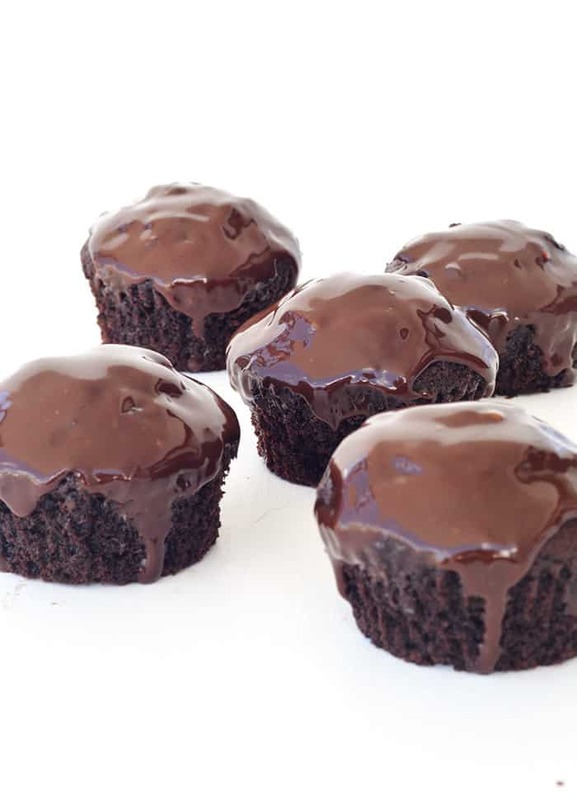 The chocolate cupcakes are an easy mix recipe that I’ve used before in my Rocky Road Cupcakes. They are then filled with a sticky homemade marshmallow filling which tastes just like marshmallow fluff or marshmallow creme (another ingredient we don’t have). Finally, the icing on the cake, so to speak, is a topping of gooey dark chocolate ganache. 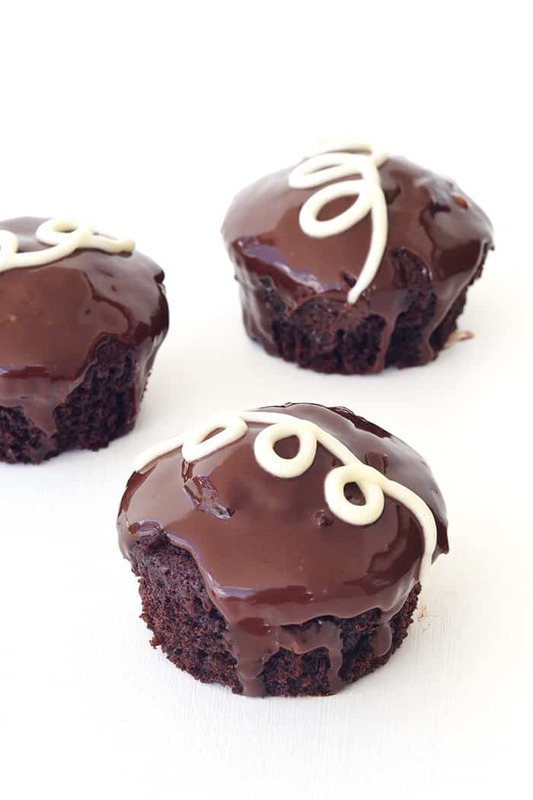 I like to remove the cupcake liners and let the ganache dribble down the sides of the cake. And then there’s the little swirl made from vanilla buttercream. 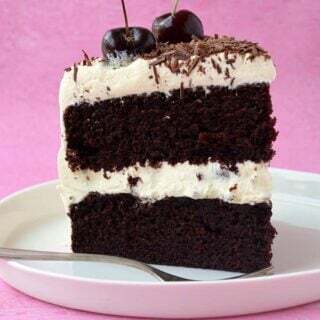 It really is the perfect cake for chocolate lovers. I actually remember having a very similar cupcake at Sprinkles Bakery in Los Angeles last year. I remember buying it and sitting down at the Grove in Los Angeles to eat it. A lady looked at me a little strangely as I pulled out my camera to take a photo of the inside of it #foodbloggerlife. Today, I am excited to be sharing this recipe over at Handle the Heat. 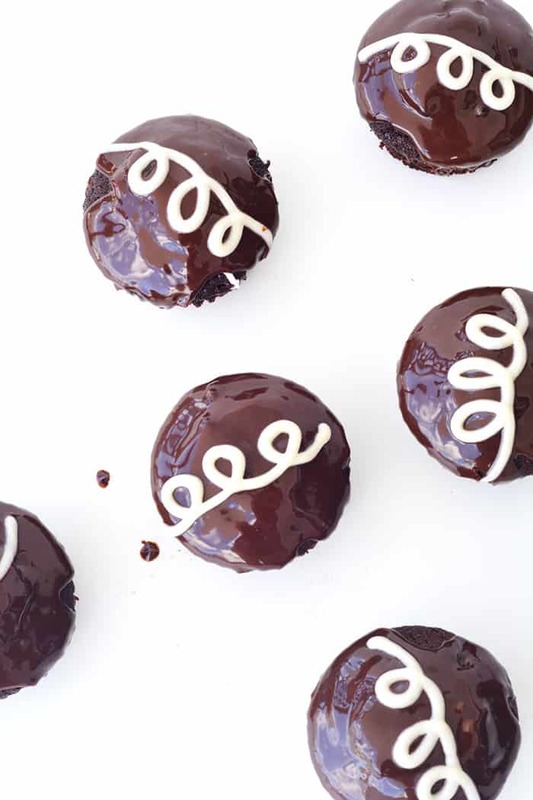 Remember last month, I shared my recipe for Nutella Stuffed Chocolate Whoopie Pies over on Tess’a beautiful blog? Well today’s recipe is just as sweet, so pop on over and check it out! Visit Handle the Heat from the FULL recipe. Yesssss, I think you nailed this one, Jess! I loveeeeee that drippy chocolate topping, and you’re smart to take off the wrapper and let the whole cupcake get in on the fun. I’m so sad for you that you don’t have marshmallow creme either! What a travesty! But it looks like you had no trouble figuring out how to get around that one 🙂 looks scrumptious! These are just delightful Jess! I’ve never tried a ding dong but now I know that I can make a gluten free version at home! I need to try these stat! I am the same whenever I travel too – I love strolling through supermarkets and pharmacies just to see how different (or similar) our products are! And there’s nothing like the offerings of a US supermarket baking aisle! I couldn’t get over how delicious these cupcakes looked when I saw them the other day, Jess! That filling looks sooo perfect! Aww that is so kind, thank you Danielle! 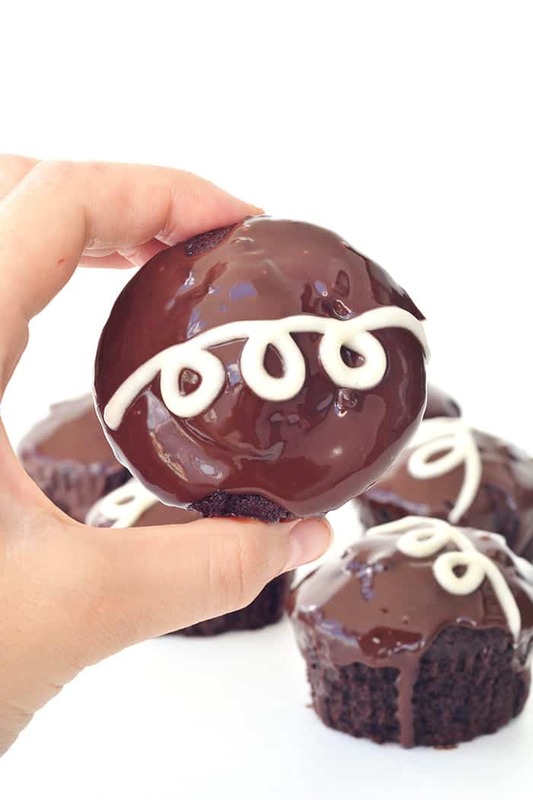 I’ve never heard of the original ding dong cupcakes but your version looks fantastic! Pinned!!! Thanks so much for pinning Adina! Love the name of the cupcake 🙂 They look amazingly delicious. YUMMY! Fruity Pebbles and Cocoa Pebbles were definitely my cereals of choice growing up. Instant sugar high. Haha. It has been so long since I’ve had a Ding Dong. We used to take them camping and warm them up a little over the fire. 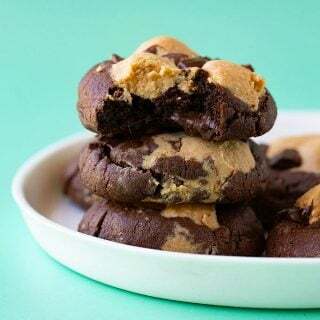 😉 These look like a blast to make and I’m sure they taste a million times better. Perfect! Totally! Haha! I was always a Fruit Loops girl 🙂 Ooh I love the idea of warming Ding Dongs over the fire, I can just imagine how gooey they would go. YUM! These look sooo delicious Jess! Chocolate and decadent, just the way I like it! Yummmmmmm! These look so good! I’m definitely a chocolate cake loving girl so these are perfect!